A mass awareness meeting was held on Wednesday at the East Kameng district headquarters of Arunachal Pradesh to gear up the activity of Bharatiya Janata Party (BJP) for the Assembly election in 2019. 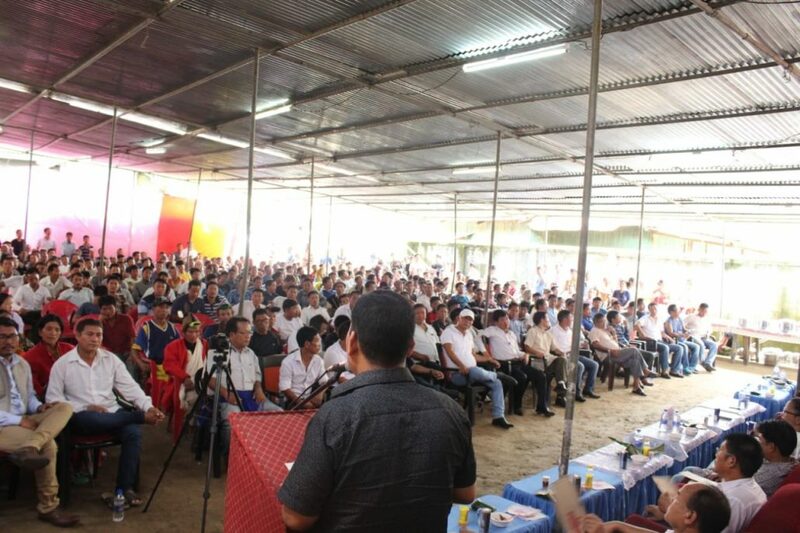 In the meeting, State BJP general secretary Lelung Lingfa urged about 2,000 party workers and supporters to adhere to party discipline and warned against any anti-party activities. District BJP president Amit Lamnio expressed happiness over the coming together of both the sitting MLA and general secretary on a common platform to address the workers and supporters. MLA Tapuk Taku advised the gathering to avoid using RTI Act 2005 to address personal enmity with any leader bringing in schemes and projects. He requested them to reap the benefits of development be it in road, bridge projects or school and hospitals. Tapuk explained how he faced difficulties in getting the ongoing work to upgrade the District Hospital with Rs 36 crore from the Centre through National Health Mission. Tapuk also appealed to the gathering to avoid money culture during election. Both the leaders committed to work in tandem for overall development of Seppa Assembly segment under the leadership of Chief Minister Pema Khandu. District BJP members, Gaon Buras, Gram Panchayat members and villagers were present in the meeting.